Have you been wondering about the importance of having a LinkedIn profile? Well to be precise, in today’s times, it is as important as having a Facebook profile to connect with your family and friends! Indeed, LinkedIn is a platform that provides a home environment for working professionals. Professional LinkedIn profile rewriting is growing in significance as much as having a good Resume is! Your LinkedIn profile is your online identity as a working professional. Of course, even students connect with HR Managers via this medium. In such a scenario, writing your LinkedIn profile professionally is very important. More than that, customizing it for search engines to understand and acknowledge your LinkedIn profile is even more important. Above all this, if you feel, you do not have the time to write it yourself, why not hire a LinkedIn profile rewriting professional? Linkedin profile rewriting professionals are trained in this job and know where to hit the bull’s eye by using the right keywords for your profile. LinkedIn profile writers understand the technical side of things and understand LinkedIn more than a newbie would do. LinkedIn writers are people who are creative and yet technical enough to write an appealing profile for you. 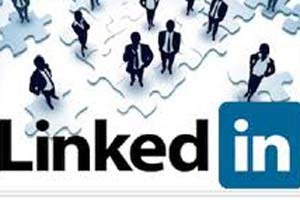 LinkedIn profile writing is a specializes skill and requires special skills which these people have. LinkedIn profile rewriting helps in creating a #personal #brand for yourself! Linkedin is one social network where millions of professionals connect and by rewriting it effectively, these professionals highlight your personality above all. LinkedIn profile rewriters, most of them are helpful and provide long-term support for your career. Last but not the least, when you hire a LinkedIn profile rewriting professional, you can focus on more important things such as sending your Resume and Linkedin URL to recruiters and adding more connections, which surely would save a lot of time and effort. All the best! If this inspires you, contact us on customer@golinked.in for an enquiry about our services. We also offer LinkedIn profile writing packages starting just 30$.